Every good detective story has the same key elements – a detective who is great at their job yet is often at odds with the higher ups, a personal life that is in disarray for whatever reason, a good team of co-workers who admire the detective and will do what is necessary to help, and sometimes a pairing with a partner that is either strained or was forced on them. 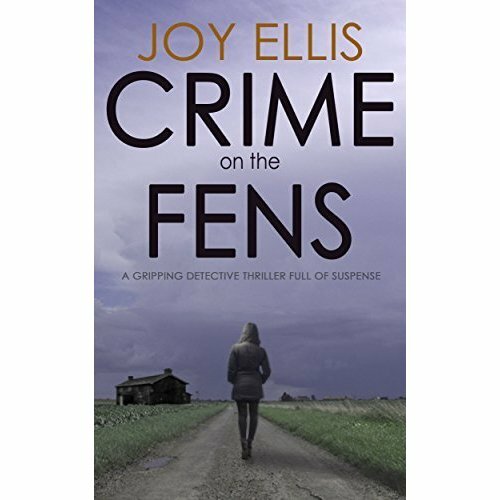 Joy Ellis has written a novel that includes all of the above with just enough differences to make Crime On the Fens a good read. The female detective, Nikki Galena, is a hard driving, focused DI bent on avenging her daughter who is lying in a hospital, and bringing those responsible to justice. She is being forced to work with DS Joseph Easter, whose reputation is as questionable as her own. The team she assembles to solve the disappearance of a young girl consists of misfits in their own right. Ellis wove the threads of the story with just enough twists to keep me turning the page, not so much as to what was going to happen but in how she was going to bring things together. As with any good series the ending leaves a teaser that does make you want to read the next book. It also suffers from the series weakness of when the main character is in jeopardy you know she will somehow survive because there is a next book. Ellis has been compared to writers Rachel Abbott, Mel Sherratt, and Ruth Rendell. This last one may be stretching it, but I would add Ian Rankin to the list. Her DI Galena could be the female version of John Rebus, even down to the suspicious relationship with an underworld figure. Rebus had “Big Ger” Cafferty and Galena has Archie Leonard. This is a good book, maybe not outstanding, but an average read worthy of one’s time. This entry was posted in Fiction - Mystery/Thriller and tagged Joy Ellis by Don Grant. Bookmark the permalink.